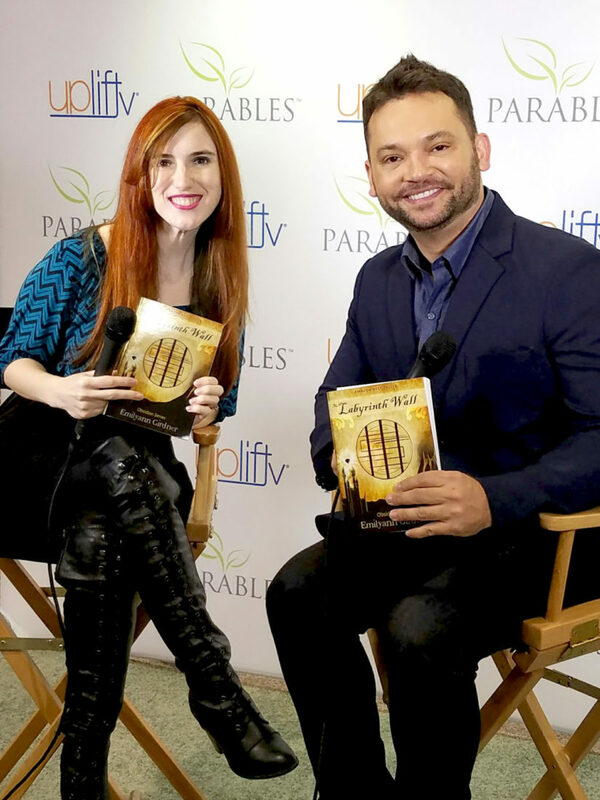 Every year they would celebrate their time in the world at the Arryl of Life festival. “Arryl” was the ancient Basalt term for “gift.” The festival was a time where they gathered singers and entertainers to perform. They would feast for a few days on a variety of delicacies and hold special events. Everyone would dance and eat during the cycles and no one would work. All of the Basalt from different villages would travel to Luap where they would plant seaweed of many breeds along the great coral wall as a gift back to the planet. Their people had developed a particular fondness for color variations, so the women dressed in elaborate multicolored dresses for the celebration. Aside from the celebrations, the Basalt society was typically a very casual culture. Day to day, they wore their insulation suits or hunting outfits. Ellara sought comfort in memories of years long before. She recounted her home and loved ones. Ellara pictured her two-story home. It was such a beautiful structure, made with walls of thickly layered stained glass lined in little pearls. Of course like many Basalt homes, the roof featured an assortment of glowing spirula shells. The spiraling shells seemed to spill out of the homes like flowers would out of a vase. A beautiful wonder of the sea, the giant spirula squid had been both food and shelter to the Basalt, and for that they treasured the species. No one had been able to figure out for sure what made their shells naturally glow, but they served as a great source of light and made a beautiful roof on many structures. Their large round shape even served as a hollow upper portion of the homes. She thought of her sister. Eva, born just moments before Ellara, was her twin. She pictured her sister, who was all but identical to herself, and yet knowing her so well she could see their differences easily. They both had very unique hair, unlike any among their people. Their hair was a gray and silver color that seemed to shine from certain angles. It had an unusually soft and smooth texture. Eva’s was cut in a bob style, unlike Ellara’s long flowing locks. She could visualize her sister’s big eyes and dimpled cheeks. Of course, like all of the Homo Aquatic Sapiens, Eva had white eyes and light bluish-green skin coloring. Living at the bottom of the sea devoid of sunshine never allowed their skin pigments to deviate much. Their gills, which were tucked beneath their ears, permitted easy underwater breathing and their uniquely structured vocal bands enabled fluent underwater communication. 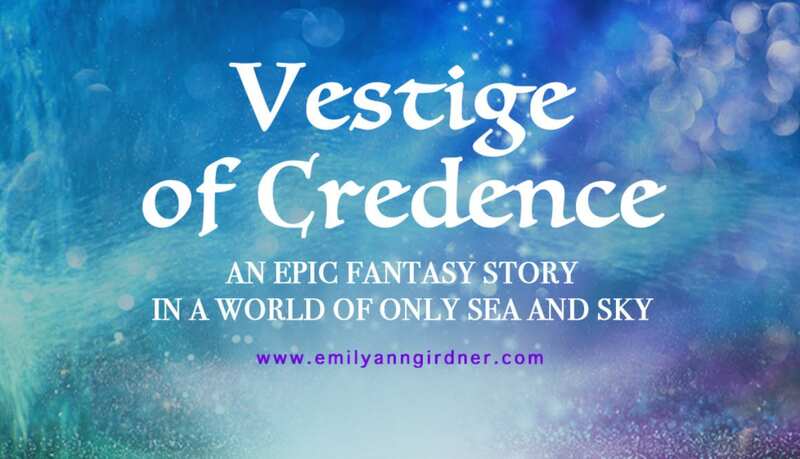 Love Fantasy Books? 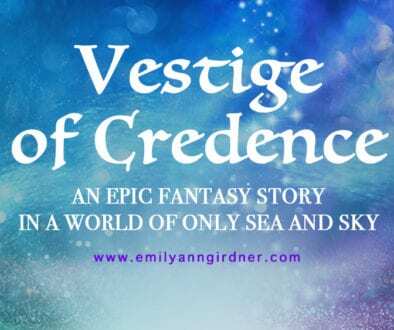 Vestige of Credence 1 – Life in the Sea	Walmart Fantasy Book Deal: The Labyrinth Wall & The Haunted Realm! Wonderful start to the story. I like the idea of the sea and cloud people, and you’re creating an amazing world.